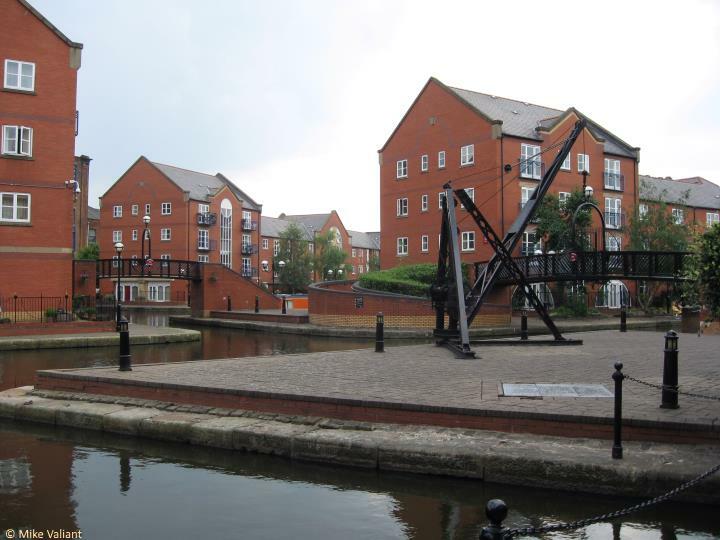 This is the entrance to the Ashton Canal from the Rochdale Canal just east of Dale Street, close to Piccadilly Station. Beyond the bridge under Ducie Street the canal turns sharp left. 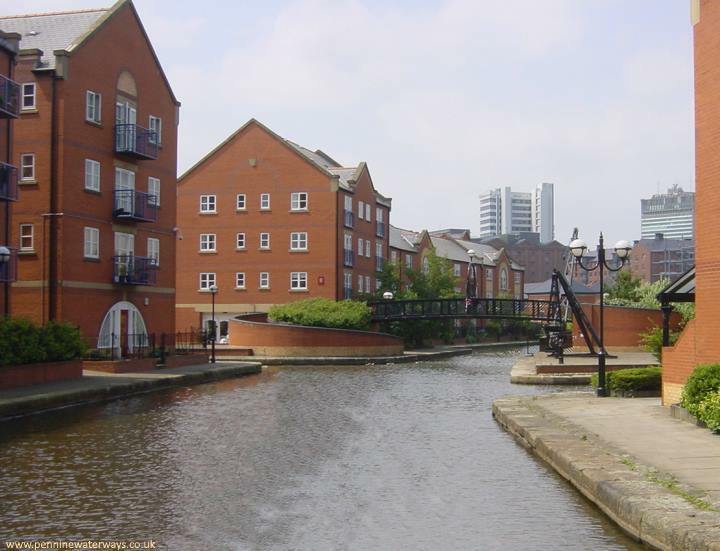 To the right after the bridge was the location of the former large Ashton Canal Basin, much of which later became a railway goods yard. 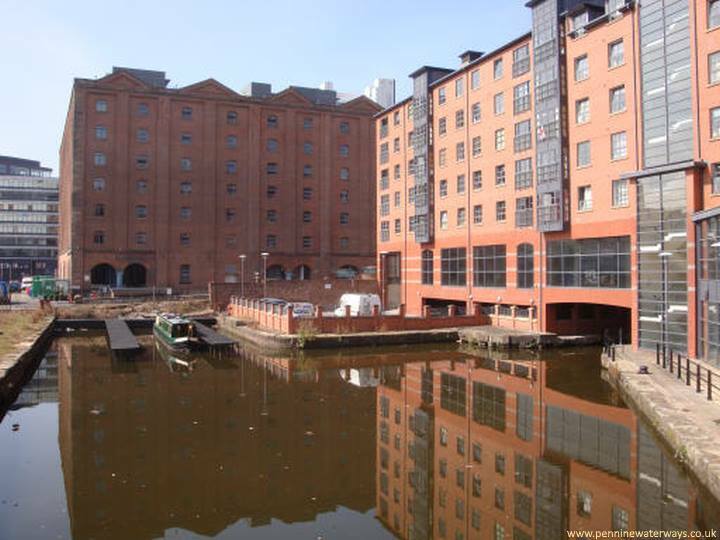 The remnant of the former Ashton Canal Basin, seen from Jutland Street Bridge, with the huge railway warehouse beyond. 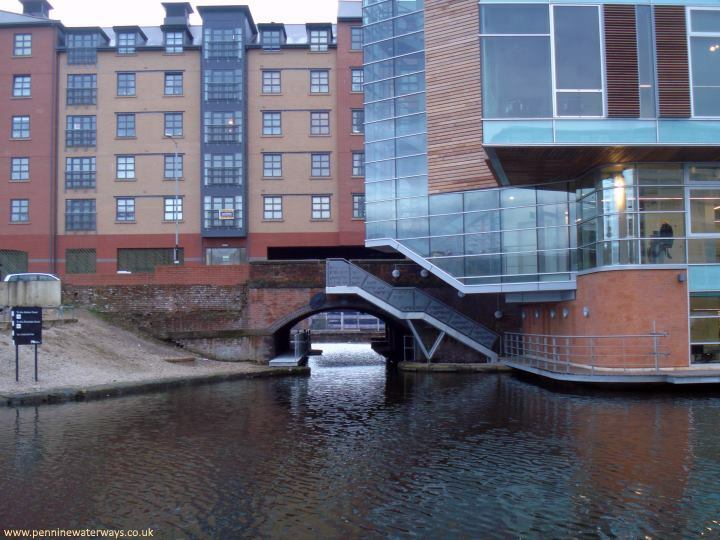 The bridge on the right leads to the junction with the Rochdale Canal. 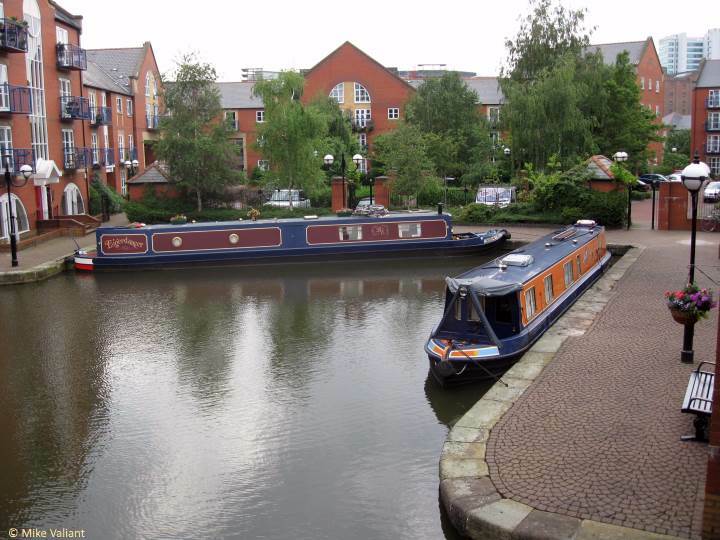 The moorings in the basin have no pedestrian access from outside. Looking back west to Jutland Street Bridge. 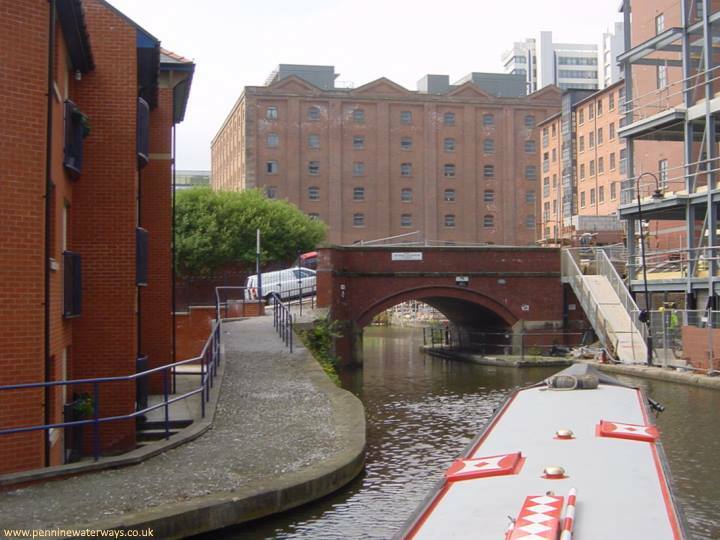 The canal turns sharp right beyond the bridge to join the Rochdale Canal. 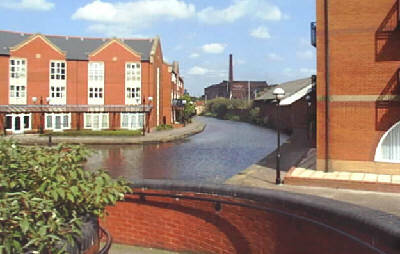 Looking east across Store Street Aqueduct towards Piccadilly Village. 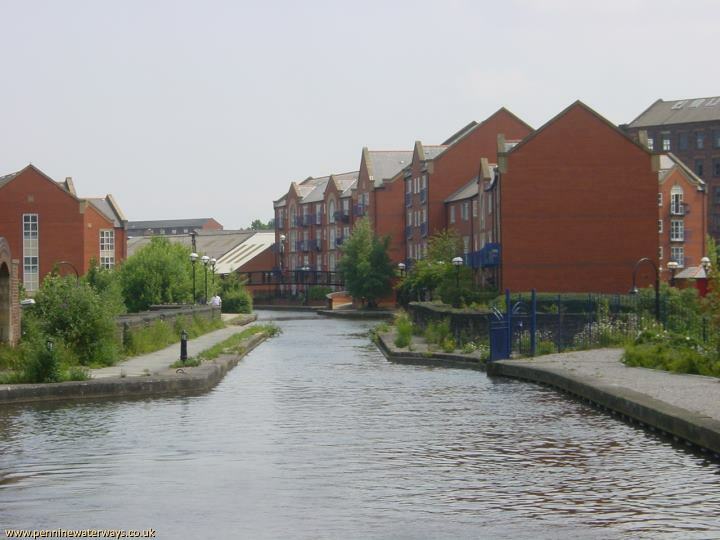 Looking west along the canal through the Piccadilly Village development. Looking east from Piccadilly Village towards Great Ancoats Street.